SimchaYoga - Tag Archive for "the Beatles"
Join our select group of adventurous travelers for this journey of a lifetime! Each day will be a new adventure! We will begin with optional yoga and meditation. We will then explore and experience rare musical encounters, exquisite classical dance, sacred Sufi, Jain and Hindu shrines, stunning landscapes, royal palaces, fortresses, temples, desert tribal parties and the colorful celebrations of Rajasthan. 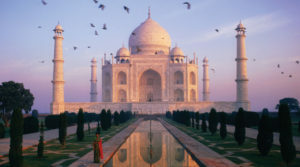 India’s impressive landscapes are a glorious backdrop for this special excursion. 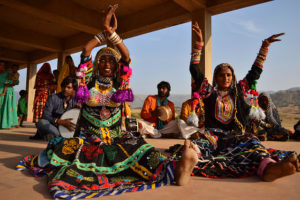 The tour offers an intimate, unique introduction to India through its tribal musical and dance culture and the stunning people of the Rajasthan desert. 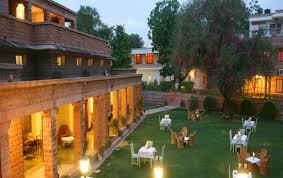 Most palaces and mansions of the royal families are now operating as luxury Heritage boutique hotels. These palatial residences of the Indian Maharajas have been transformed into Heritage Hotels with comfortable modern facilities, elegant luxury and warm of Indian hospitality. The tour does not cover any personal injuries, health related matters, personal travel insurance must be obtained independently by every participant. Participants will arrange their own (recommended) accommodations. Linda will be happy to advise. Please contact her for details. 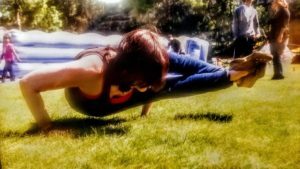 Linda invites you to join her for an optional six nights in Rishikesh prior to the main body of the trip. Rishikesh is a small town in the northern state of Uttarakhand and famous as the ‘Yoga Capital of India’. It is scenically located where the Ganges River comes down from the Himalayas. Rishikesh catapulted to Western fame when the Beatles dropped by for a visit to Maharishi Mahesh Yogi’s ashram. There, the Beatles wrote 18 songs for the White Album and 2 songs for Revolver. 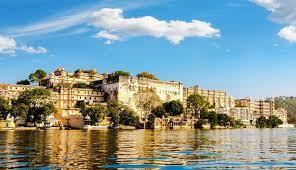 The following excursions will be optional and paid for in Rishikesh. 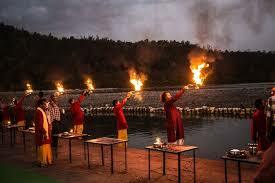 Triveni Ghat, where daily, each morning and evening, thousands bathe in the Ganges and enjoy the Maha Aarti ritual. Gita Bhavan. Place of Guru Shri Ram Sukh Daasji, (the great thinker of his time) where, twice a year, people gather to read the Ramayana. Pranayama (breathing) and meditation at the beautiful Swarg Ashram, at the foot of the Himalayas on the left bank of the Ganges. This is the spiritual “ground zero” of Rishikesh, filled with ashrams and temples known for healthful and satvic living. It is this spot where, for centuries, famous Yogis and Rishis have been doing Tapasya. Parmarth Niketan for the Pooja Aarti, one of the few Ashrams left in India where children study the Vedas. Rajaji National Park on a Jeep Safari, famous for sightings of Asian Elephants, King Cobra, Tigers, and Himalayan Black bear. It is also an opportunity to see over 315 species of birds. After Sacred Rajasthan, we will drive to Agra to visit the Taj Mahal, spend a few nights in Delhi, then fly home. You are welcome to join us in the most informal way. We will pay for tours on the pre and post trips as we choose and book them. I have a few hotels in mind and will share booking information as requested. You are free to choose your own hotels and meet up us with us if you’d prefer.